Great location! 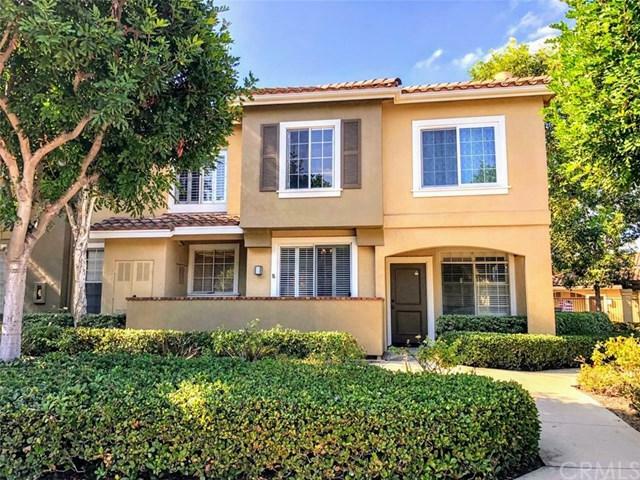 This rare and gorgeous 2 level townhome is in the highly sought after neighborhood of Shadow Canyon in Tustin Ranch. Its corner lot location provides privacy and beautiful mountain views. This highly upgraded and move-in ready home is a MUST SEE! Enjoy the open floorplan that makes it the perfect place for gatherings and entertainment. A patio by the dining area provides additional space for entertaining guests and outdoor living. With plenty of windows and wood plantation shutters through Great location! This rare and gorgeous 2 level townhome is in the highly sought after neighborhood of Shadow Canyon in Tustin Ranch. Its corner lot location provides privacy and beautiful mountain views. This highly upgraded and move-in ready home is a MUST SEE! Enjoy the open floorplan that makes it the perfect place for gatherings and entertainment. A patio by the dining area provides additional space for entertaining guests and outdoor living. With plenty of windows and wood plantation shutters throughout, the home is naturally light and bright. Upgraded "wood like" tile flooring, wooden stairs, plantation shutters, base and crown moldings. Kitchen comes with ample of storage and cooking space, which includes a stainless steel stove and dishwasher. Laundry room with plenty of storage spaces and a powder room is conveniently located downstairs. Master bedroom comes with a spectacular mountain view and includes an attached full bathroom and walk-in closet. Second bedroom can be used as a bedroom or an office with a beautiful tree-lined view. It has customized built-in book shelves and plantation shutters. Third bedroom comes with plantation shutters and mirrored closet. Close proximity to Top Award Winning Schools, parks, golf course, and convenient shopping and dining at the Tustin Market Place. Easy commute to freeways and toll-roads. Hurry, this Home won't last long!